So when I laid eyes on the Nails Inc. Self-Made Mermaid Nail Polish Duo, it's like my secret prayers had been answered! 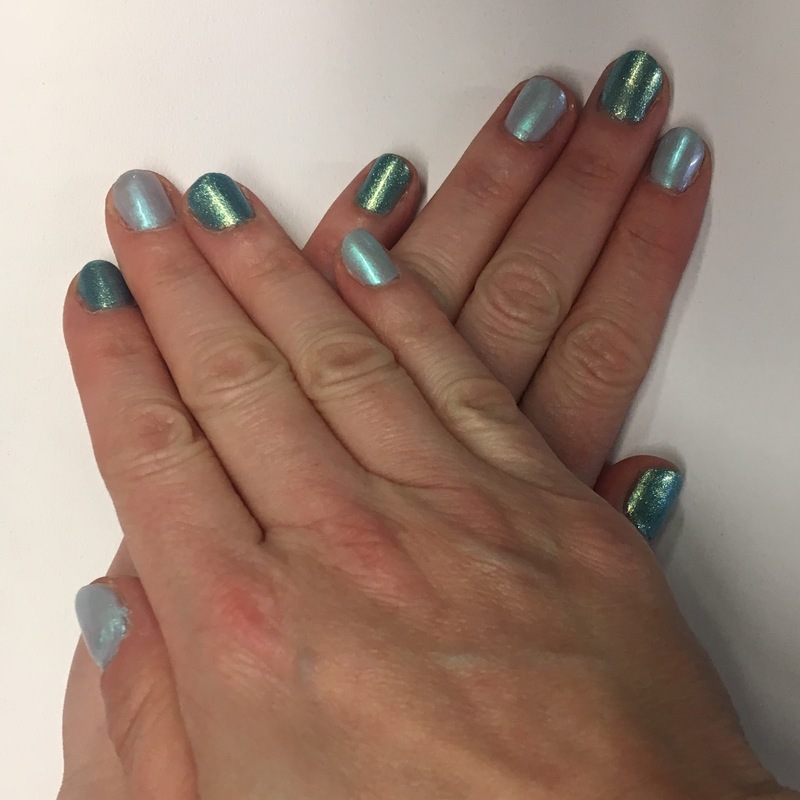 The Nails Inc. Self-Made Mermaid Nail Polish Duo really does make me feel like a mermaid. I'm loving Oceans Ever After and Mermaid Parade -- these Nails Inc. colors are both so gorgeous! I had to use both polishes at the same time, because I just couldn't imagine using only one. I went for an alternating manicure so each polish would get equal screen time. I have to say, I'm equally obsessed with both shades! They both apply perfectly in two coats -- no streaks or open spaces -- and they last FOREVER. I've been sporting this manicure for a week with no chips! I'm always a fan of Nails Inc., and this duo is no exception. 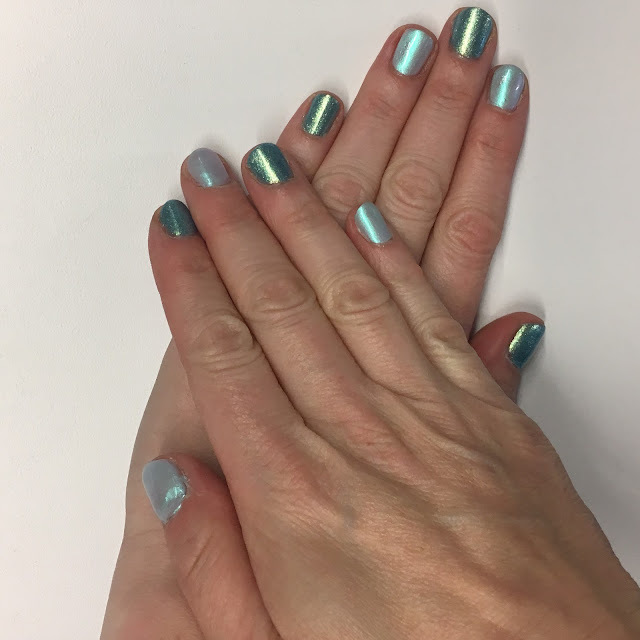 I mean, come on -- a manicure that makes you feel like a mermaid? What's not to love? The Nails Inc. Self-Made Mermaid Nail Polish Duo retails for $15 at nailsinc.com. 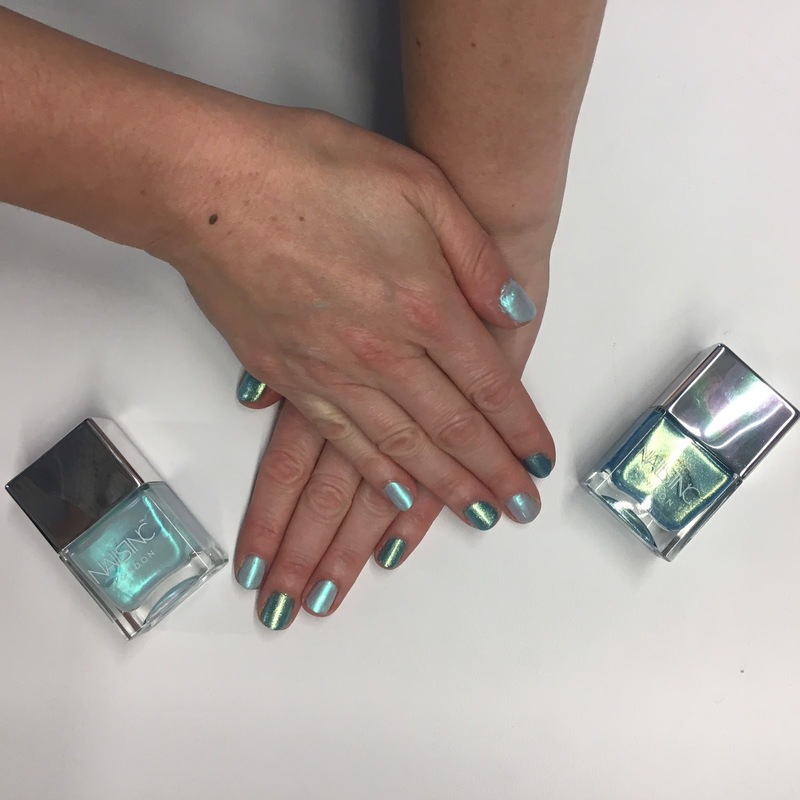 Posted by Jamie at 10:03 AM Labels: #ManiMonday, manicure, nail art, nail polish, nails, Nails Inc.
Looks very mermaidy to me. I love it! What a lovely nail look! I love both of these polishes! Ocean Ever After is my fave!! I keep thinking about this set. I love the mermaid look but I don't wear glittery polish. It looks so pretty on you though. This is such a shimmer-tastic duo! It's a beautiful duo, definitely very mermaidy! Both shades are super pretty! Total mermaid vibes! Stunning shades. Perfect for mermaid nails. Love both.